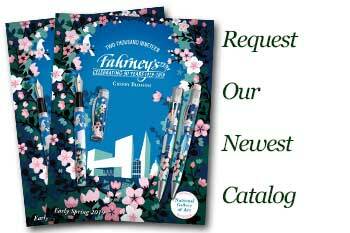 Order your Fahrneys Ever-Write Pen Flush 8oz today from FahrneysPens.com. Fine Pens, Refills & Luxurious Gifts – great prices & fast shipping. Fahrney’s new Ever-Write Pen Flush will help make your pens write like new again! Effective and safe for all types of pens, Fahrney’s Pen Flush is guaranteed to remove the old and stubborn build-up in fountain pens with the perfect balance of ingredients. Our special formula of non-toxic cleaning agents will keep your fountain pens performing at their peak. Pen Flush will also remove any previous color when changing inks. 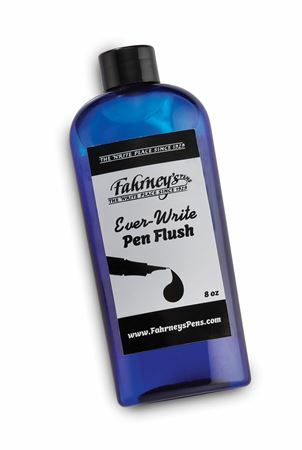 Fahrney’s Ever-Write Pen Flush comes in a blue plastic 8 ounce bottle with a secure twist cap.